Ola Cabs, planted 3000 fruit trees to celebrate World Environment Day 2015. 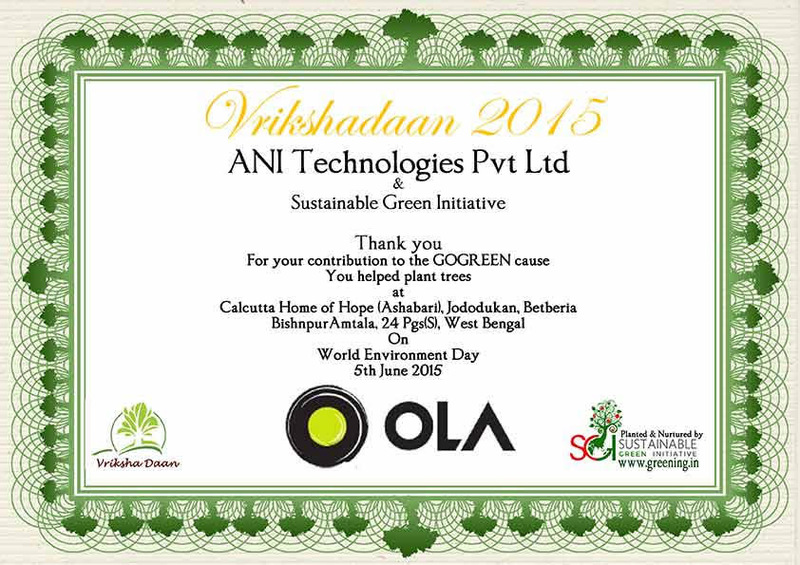 "On World Environment Day 2015, we joined hands with Sustainable Green Initiative to plant saplings on your behalf. We want to congratulate you on your reduced carbon footprint. Your contribution was put towards making this world a greener place to live in. Thank you for your support and encouragement. " Sustainable Green Initiative plants trees to help the fight against climate change and also hunger, poverty and rural migration. By planting a tree through us you can help in doing your bit to mitigate your carbon footprint.